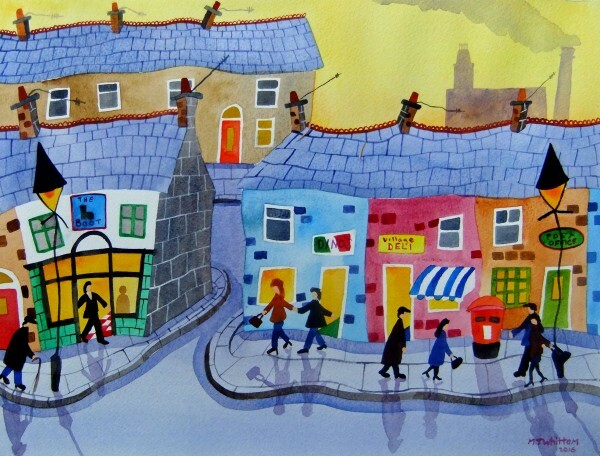 Description: Affordable Naive, Northern Art by Martin Whittam. This happy and cheerful original watercolour painting is in the "naive" style. It will put a smile on the viewers face , would make a perfect gift and will enhance any home. This large painting is sized approx 16" x 12" , It was painted using professional quality Windsor and Newton paints on top quality 200lb, acid free Loxley watercolour paper.